How to Install Windows 10 on Your PC? 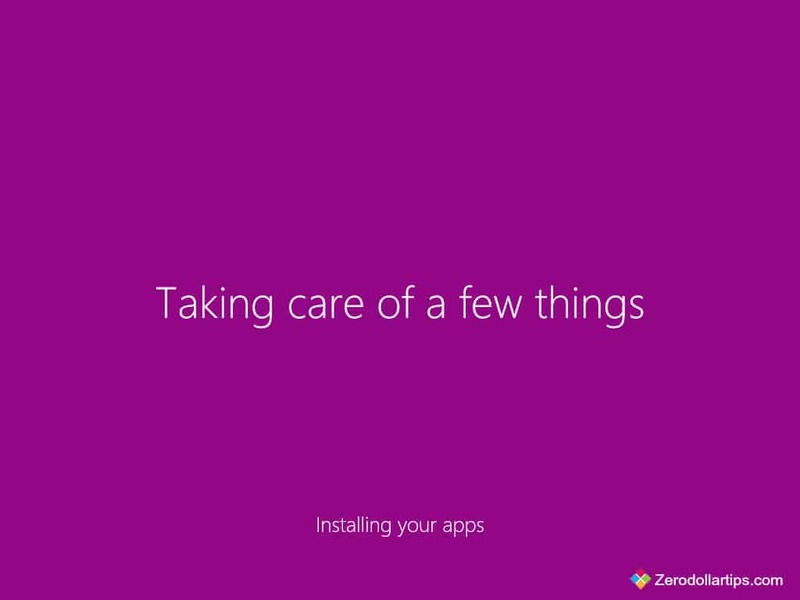 If this question is running in your mind, today you will get the complete and exact solution from this step by step Windows 10 installation guide. Finally, Microsoft has made worldwide available the most awaited and latest Windows operating system “Windows 10” along with multiple convenient ways to install Windows 10 on PC and upgrade to Windows 10 for free from the qualified version of Windows. Just after the release of the final version of Windows 10 operating system, most of the Windows users are willing to grab it as soon as possible. 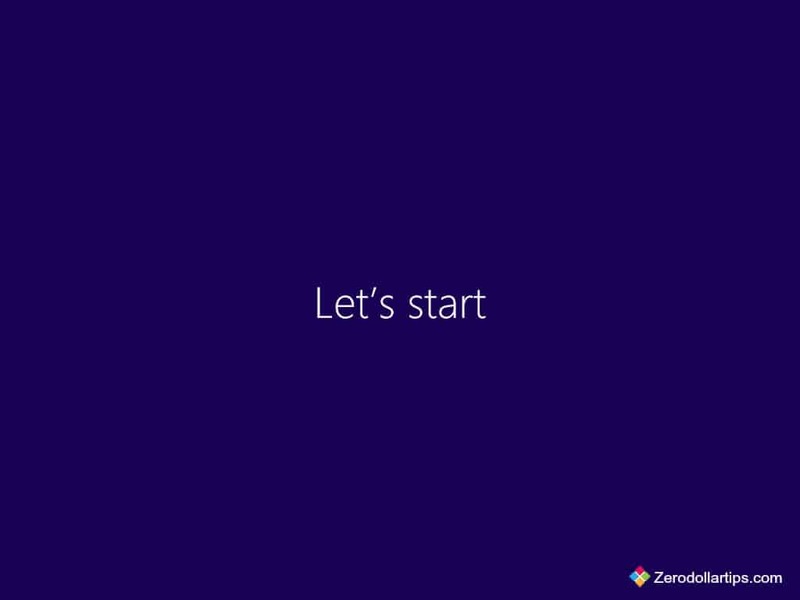 If you are also excited to use the latest exclusive features of Windows 10 operating system (The Edge browser, Cortana, Windowed Windows Store apps, Virtual desktops/Task View, Action Center, stylish start menu, Revamped core apps, The Xbox app, Continuum, Unified settings etc) and want to perform a Windows 10 clean install or reinstall Windows 10 on your PC then this guide is completely dedicated to you. 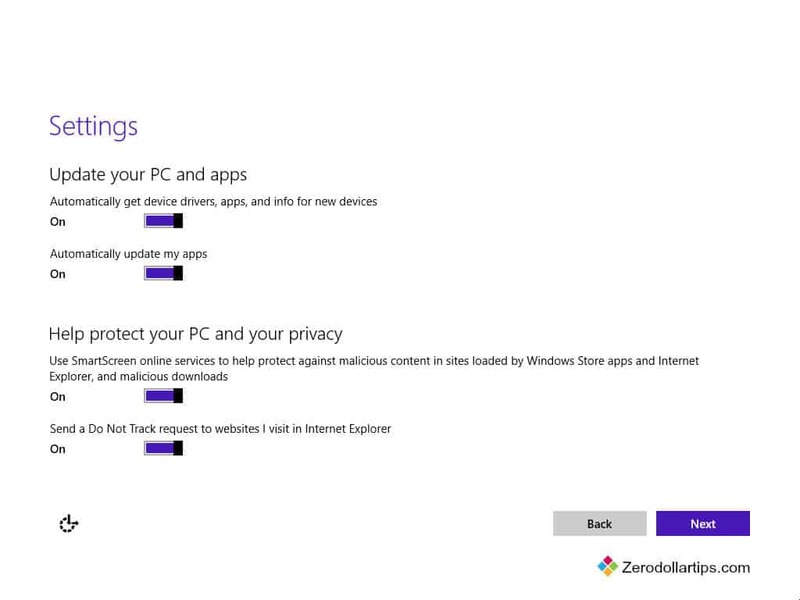 Important note: Zerodollartips.com team recommends you to backup all the files before installing Windows 10 on your computer. 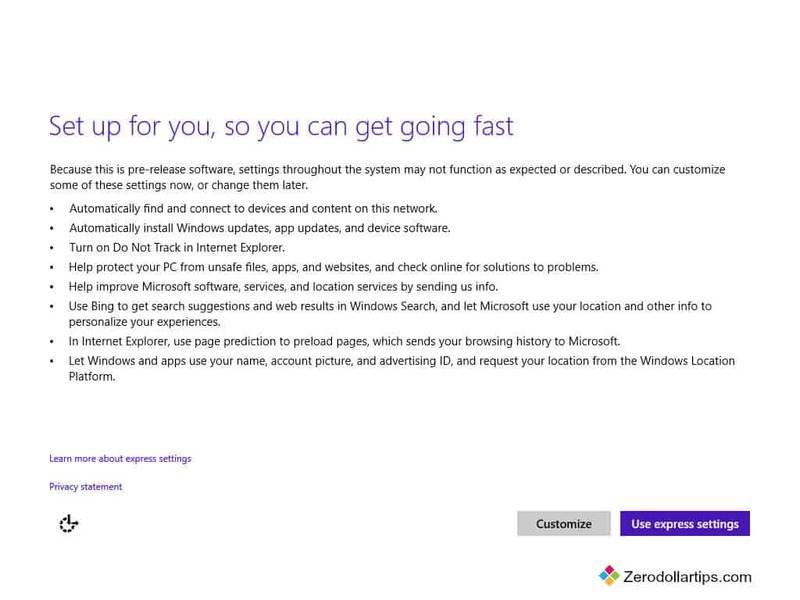 Step (1): First of all, Download Windows 10 ISO file from the official Download Windows 10 page of the Microsoft. Step (2): When ISO file downloading process is completed, transfer the downloaded ISO file to installation media such as a USB flash drive or DVD. Follow this guide in order to Create a Bootable Windows 10 USB Flash Drive. Once the Windows 10 bootable USB flash drive or DVD drive is ready then you can start Windows 10 installation on any computer according to your wish. Just connect the bootable USB flash drive or DVD to the PC and start following below given steps. Step (3): Simply, double-tap or double-click the setup.exe from the installation media to boot. Step (4): Select your language, time and currency format, keyboard or input method and then click on Next. 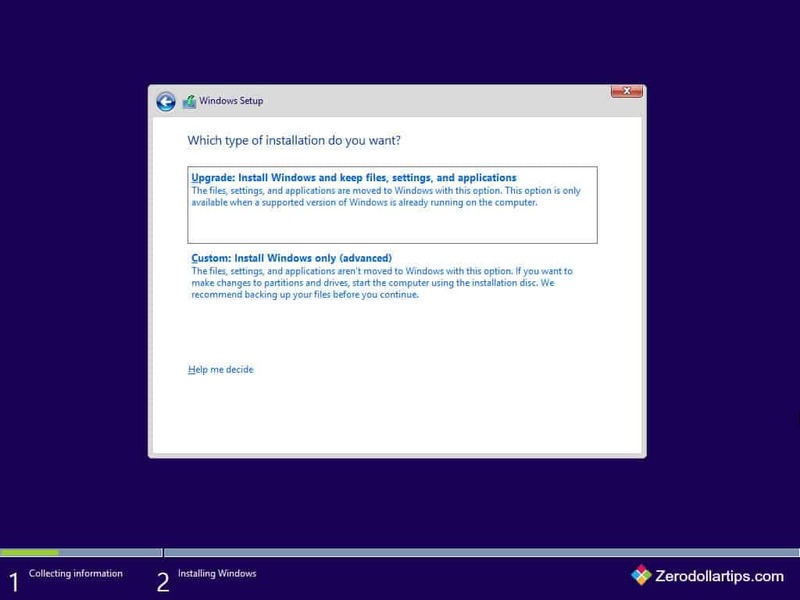 Step (5): On install now screen, click on “Install now” button to start the setup. 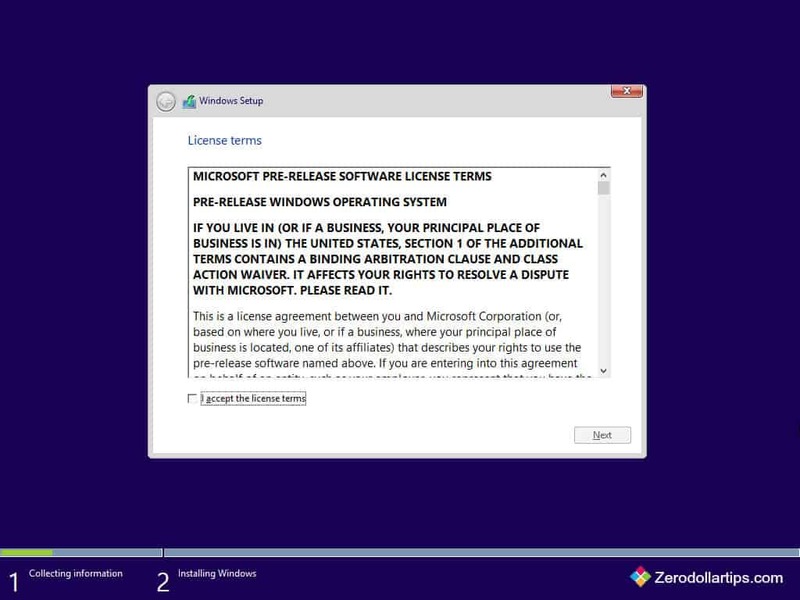 Step (6): Check “I accept the license terms” option to agree with the windows license terms and click on Next. In case, you already have an existing Windows installation and want to keep all your existing files, applications and settings then click on Upgrade option. If the Upgrade option isn’t supported for your existing version of Windows (Click here to know which Windows version supports free upgrade to Windows 10), or if you want a clean copy of Windows installation then click on Custom option. Step (8): If you have selected “Upgrade” option then no need to follow this step. But if you have selected “Custom” installation, select the windows partition where you want to install Windows 10 and then click on Next. 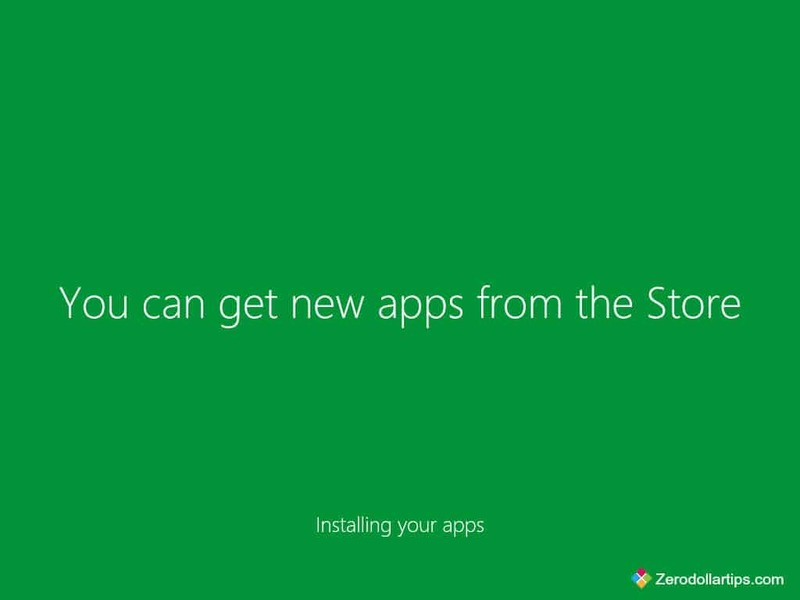 Step (9): Now, the Windows 10 installation process will start. 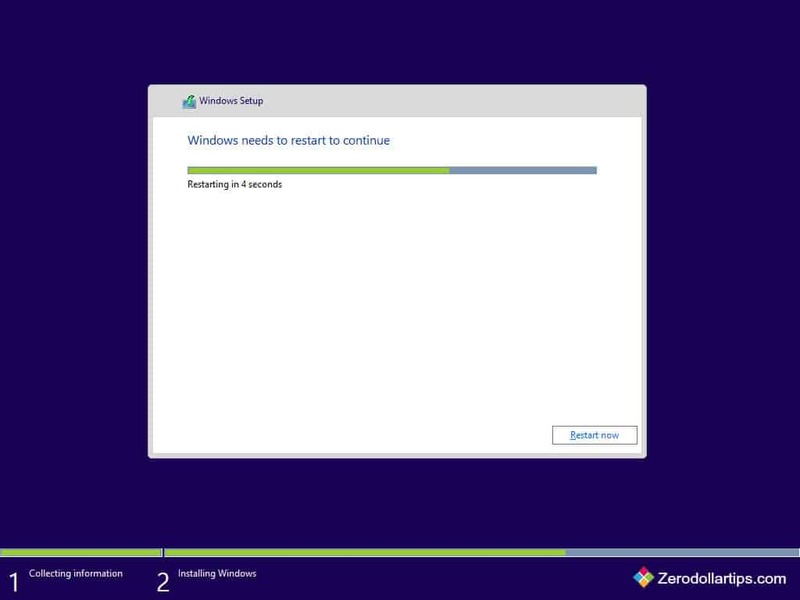 You need to keep patience until all installing windows setup (Copying Windows files, Getting files ready for installation, Installing features, and Installing updates etc.) doesn’t complete. Step (10): Once Installing Windows updates is completed, your PC will automatically restart in 15 seconds. To restart instantly, click on Restart now button. 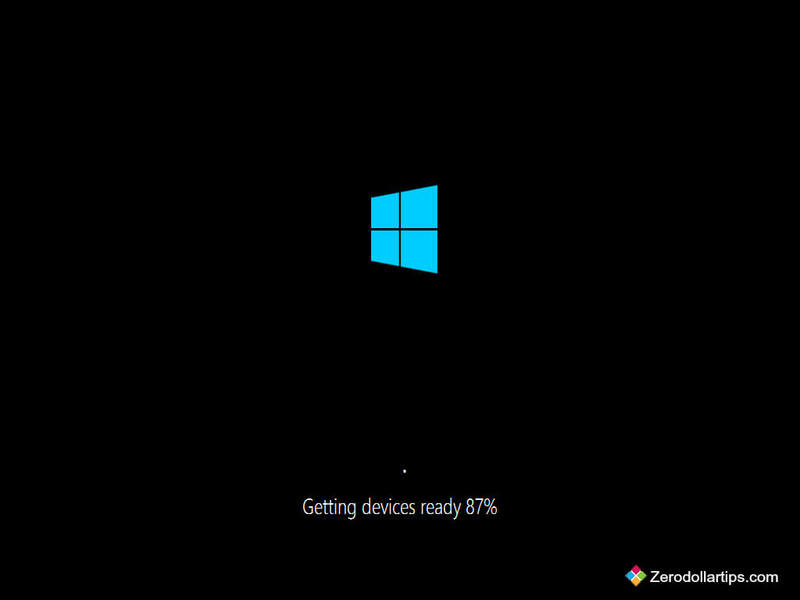 Step (11): After the restart, you’ll view that the boot screen followed notifications like Getting devices ready, Getting devices ready by %, and Getting ready. Step (12): Once again, your computer will be restarted automatically. Step (13): Now from the Windows settings screen, click on “Use express settings” button if you wish to keep the default settings on your system, or click on “Customize” button if you wish to change the default settings. For example: Here we selected the “Customize” option to change the default settings in Windows 10. Step (14): After clicking on Customize button, the settings screen will appear. On Settings screen, make changes according to your wish and then click on Next. Step (15): Enter the user name, password, and password hint. Click on Finish button. Step (16): After that, the settings will be finalize. Step (17): Now, the different colourful animation will start appearing on your computer screen as shown below. You have to just sit and wait until you see Windows 10 is completely installed. Step (18): Once you got the Windows 10 desktop, you are done! Congratulations! 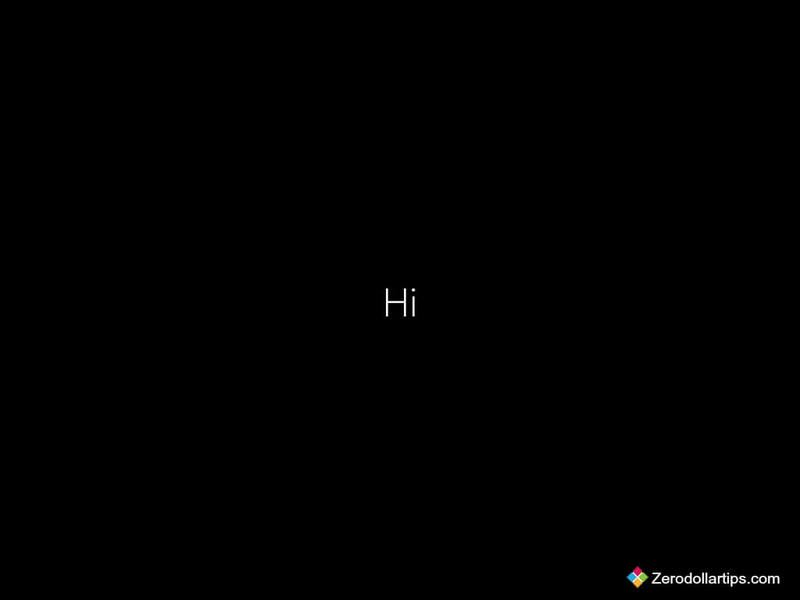 You have successfully installed Windows 10 on your computer. Now start enjoying new and improved features of Windows 10 operating system. Some of new Windows 10 Features are like Start Menu Returns, Cortana on Desktop, Xbox App, Project Spartan Browser, Improved Multitasking, Universal Apps, Office Apps Get Touch Support, Continuum, Action Center, and Unified Settings etc. If you think – the step by step guide for Installing Windows 10 is useful for you then please share your view with us through comments. I hope you found a well explained tutorial on how to install Windows 10 on your PC? COOL! I will try to upgrade my Windows 8.1 to Windows 10 this weekend. Thanks for the tips! First of all, welcome to zerodollartips and thanks for sharing your view with us. I am happy to know that you liked the information shared here about “How to Install Windows 10 on your PC”. first of all i am happy that your name is similar to mine and after that thanks for this step by step guide. i built a new pc and it keeps gettting stuck, what do i do?